It's now known that top clerics co-operated secretly with the Communist regime of the People's Republic of Poland. The relatively favoured place of the Polish Church under Communism let the Church prevent the collectivisation carried out in many other Communist countries. Thus the clusters of small farms were preserved where the village priests held sway. While Poland remained part of the Communist empire its formal relations with the Vatican were restricted to the pragmatic Modus vivendi of 1950. Concordats were prohibited by the country's 1952 Constitution, the first Polish Constitution to guarantee church-state separation and equal recognition of all denominations. 82.2 The Church shall be separate from the State. The principles of the relationship between State and Church, and the legal and property rights of religious organisations shall be defined by laws [i.e., not by “international treaties” such as concordats]. As Poles quipped at the time: “The Constitution is excellent ― a pity it’s so rarely applied”. And that turned out to be the case here. In spite of the clear position of the Constitution, there had been secret plans drawn up for a “Convention” which was the Communists’ tactful term for a “Concordat” (and Napoleon’s, as well). In 1988 this was signed by both sides. However, the very next year Communism collapsed and the Church scrapped the Convention, suspecting that it could soon get a real concordat. When the Polish Communists were finished and the Vatican knew it could soon get better terms, it quietly scrapped the already-signed 1988 Convention. By contrast, when the German Nazis were finished, and the Vatican knew it could never get such good terms again, it instigated legal proceedings to get the 1933 Concordat declared still valid. Before [the collapse of Communism in] 1989 the talks with the Vatican led to the creation of two documents: 1) "On the Relationship between the State and the Catholic Church", which was approved by the Sejm in May 1989 [one of Rakowski's "May Laws"] and 2) the Convention, which was intended to enter into force simultaneously with the Act. However, the political turbulence of ’89 created the conditions for the Church to withdraw from the previously agreed Convention. The basic argument ― which the bishops used at the time ― for rejecting the agreed text were the socio-political changes, to which the Church "wished" to adapt. With this, the Convention was regarded as void. (Note [this disregard for] the principle of Pacta sunt servanda (Treaties must be kept), which was so often invoked by the concordat advocates during the legislative work in the Sejm [in 1993-1998] on a statute which would allow the President to ratify it. It was suggested [by these advocates] that the state would bear guilt [for violating a treaty] if the Concordat of 28 July 1993 did not enter into force. In 1991, after his installation in Poland, the Vatican ambassador, Nuncio J. Kowalczyk, informed the public about the resumption of talks on the agreement with the Vatican. The Nuncio purported to bring from the Vatican a proposal for normalising relations between Poland and the Holy See, however this was only part of the truth. In actual fact, the discussions and negotiations were not resumed, but started from the beginning. The Church was responsible for the lost time and for considering the Convention of 4 May 1988 to be void, because it regarded the already signed document as non-existent and incompatible with the new realities, thus disregarding the principle of Pacta sunt servanda. However, Rakowski's “May Laws” did not pay off. The Church accepted the Communist concessions — and then advised the faithful to vote for the opposition. The Communist government fell and the Church still retains these privileges. The Vatican had exacted the concessions it wanted, but had failed to mobilise the faithful in return ― and the members of the Communist Central Committee were surprised! With this, the Church was officially freed from having to obey the country's constitution ― and the next month, in October 1991 the Church presented its concordat draft. 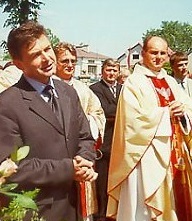 In 1992, to help the concordat negotiations, Pope John Paul II visited Poland twice. The following year the Vatican finally got its chance. 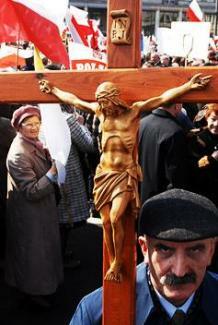 The fragmented state of Polish politics in the new Republic gave the Church its opening. At the time it was remarked that “Nearly 30 parties have seats in the Parliament about to be dissolved, which has been described as more maddening than Rubik's cube”. This situation ultimately led to a successful non-confidence motion and on 29 May 1993 President Walesa dissolved Parliament. Two days later, on 31 May, he declared presidential rule until the next national election on 19 September. Prime Minister Hanna Suchocka, a specialist in Constitutional Law, saw an opportunity. Why have an all-day debate seen by millions on the public TV channel, if the concordat could be slipped through while the MPs were at home until autumn? And, more important, what if the MPs returned after the autumn elections refused to ratify it? This was a very real possibility, as the centre-left Alliance of the Democratic Left was expected to form the next government, which indeed happened. This party could refuse to ratify the concordat because this would be in violation of Article 82.2 (cited above) which was still in force. And even worse, unless the concordat were signed quickly, the new constitution might, like its predecessors, forbid the conclusion of any future concordats. Then the Vatican would get no more than the 1988 Convention with the Communists. It was essential to get the concordat signed fast so that, faced with this fait accompli, the new constitution would be forced to permit it retroactively. After her electoral defeat in 1993, Hanna Suchocka retired from politics. Her government had signed a concordat despite losing the confidence of parliament and this was well rewarded. She was appointed Poland’s ambassador to both the Holy See and the Order of Malta, and received many awards, including the Grand Cross of the Order of Pius IX of the Holy See and the Grand Cross “Pro Merito Melitensi” of the Order of Malta. The concordat was signed under presidential. rather than parliamentary rule. This was enacted under the temporary Small Constitution of 1992 which had annulled some of the most outdated parts of the 1952 Stalinist Constitution. Yet, though the introduction of presidential rule was in accord with the Small Constitution, what was done with it was not. For the Small Constitution still retained Article 82.2 of its Stalinist predecessor. This specified that church-state relations be regulated by national laws, which effectively forbade concordats. As a constitutional expert Suchocka knew this, but she also realised that she could violate it with impunity: after the fall of Communism it would be politically embarrassing for anyone who objected to be seen as trying to uphold a relic of Stalinism. On 28 July 1993, in the middle of the parliamentary break, the concordat was quietly signed. This was a triumph for the Church because even a concordat which has been signed but not yet ratified can have wide-reaching consequences. 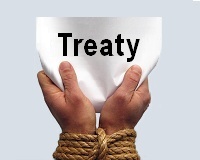 Though signing a treaty does not oblige a state to observe it, it does amount to a non-binding presumption that it will eventually be ratified and, accordingly, the state must refrain, as a matter of good faith, from doing anything to defeat the purpose of the treaty. Now the new constitution was going to have to be drawn up to accommodate the concordat, not vice versa. The signing of the concordat eliminated the possibility that the constitution could jeopardise the Vatican treaty by enshrining the principle of church-state separation. The official policy of the new governing party was “first the Constitution, then the Concordat” and the next year Sejm passed a special resolution to postpone moves to ratify the concordat until the new constitution was in place. 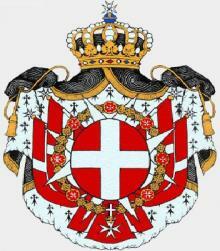 The delay of the ratification was vigorously opposed by the bishops. This prevented the concordat from officially shaping the constitution and it represented the only victory in the long struggle against the concordat. However, it was a very minor victory, as it didn't prevent the already-signed concordat from influencing the new constitution unofficially. And this is exactly what happened. Why did Polish MPs violate the constitution? They voted for the concordat after being lied to and bullied. During the debate on ratifying the concordat the new Foreign Minister, Bronisław Geremek, a distinguished, pipe-smoking, tweed-jacketed professor, assured the MPs that the constitution's requirement of a 2/3 majority for ratifiying treaties did not apply. He ignored the fact that two prominent legal scholars, Barbara Stanosz and Michał Pietrzak, disagreed with him. MPs with any remaining doubts about the concordat were cowed by accusations that they were continuing “the brutal war against the nation, imposed by the Communists”. The final version of the 1997 Constitution shows their input. ♦ The reference to the separation of church and state in an earlier version was replaced with “the mutual independence of each in its own sphere” (Article 25.3). This leaves it open for the Church to define what “its own sphere” should be. ♦ Article 18 of the new Constitution defined “the union of a man and a woman” and in 2001, for example, this was used to justify denying the inheritance of a tenancy from one gay partner to the other. With the formation of a right-leaning coalition after the September election and the proclamation of the concordat-friendly Constitution in October it was finally time to try to ratify the Concordat. This was attempted early the next year, on 23 February 1998, but although the new constitution required a two-thirds majority in each house of parliament (Article 90.2), this was not achieved. In the Senate the concordat did get the necessary two-thirds majority in the Senate, but in the Sejm only a simple majority voted it in. Although this was a clear violation of the country's constitution, the concordat with the Vatican was considerd to be finally ratified. The final move was made before Poland entered the European Union in 2004. It took place in that curious body called the Joint Commission  which holds secret meetings between Church and state officials. For their part, most of the Polish women's groups were horrified and in an open letter urged the European Union not to accept the Declaration. In Poland, where different generations have had very different experiences, opinion tends to be sharply divided, often on generational lines. At one extreme are the young people, some even sporting T-shirts which say “God, yes — Church, no”. At the other, are the conservative Radio Marya listeners known for their mohair berets, like the elderly woman clutching the Vatican flag. In 2005, the year after Poland joined the European Union, a further ruling was sought to ensure that the Polish concordat would not be challenged in the country's courts. Antoni Macierewicz, leader of the Catholic-National Movement, didn't have enough members of parliament in his own party, but he managed to round up the group of 50 MPs necessary to petition for a ruling in the matter. This group asked the Constitutional Tribunal to confirm that the requirements for EU membership posed no threat to the concordat. Specifically they were worried about Article 2 of the Conditions of Accession which required that new members abide by the rules of EU, as laid down in its earlier treaties. The relations between the Republic of Poland and the Roman Catholic Church shall be determined by the international treaty [i.e. the Concordat] concluded with the Holy See, and by statute. 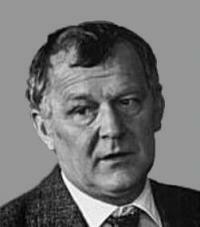 Marian Krzaklewski led an electoral group of over 30 right-of-centre and Christian parties that won the 1997 election. A few months later they finally got the concordat ratified, five years after it had been signed. Embarrassed by the delay, Krzaklewski proposed in Parliament that they send the Pope a formal apology. [T]he Concordat not only endorses some state obligations derived from existing law, but also expands them. These include, among others, state aid for religious schools at the university level and expanding support for maintaining buildings belonging to the Church. Article 12.1 of the Concordat excludes the right of adult students to decide whether to take religious classes, a privilege they presently enjoy. Nevertheless, possibly the most startling point of this treaty is the proposed relation of the Church to the existing legal order. First, no provision exists requiring the Church to respect the existing law, specifically the constitutional order. This is of great significance, especially considering the fact that the provision of the Statute on the Relationship between the Catholic Church and the State [the 1989 Rakowski Act] that stated “the Catholic Church in the Republic of Poland acts within the framework of the Constitutional order” was removed by amendment in September 1991. The first article of the concordat echoes the new Constitution, asserting that “the State and the Catholic church are, each in its own domain, independent and autonomous”. Naturally there is no reference to separation of Church and state. * By hook or by crook: “by whatever means possible, fair or unfair”. This originally referred to the right to gather firewood only by breaking off dry dead wood by hand, or with a blunt tool such as a crook or a hook; but sharp cutting tools were used so often furtively that the expression got its present meaning of “by any means at all”. 5. This statute was finally issued on 8 January 1998 and came into force on 10th of February 1998. That's what the Sejm and Senate were needed for. Only after that could the President and John Paul II ratify it, which happened on 23 February 1998. This unusual ratification procedure for some types of treaties — including concordats — is set forth in Articles 88-90 of the 1997 Constitution. 7. DzU PRL (Public Law Gazette, No. 29, item 154, with subsequent amendments): http://isip.sejm.gov.pl/servlet/Search?todo=file&id=WDU19890290154&type=2&name=D19890154.pdf. 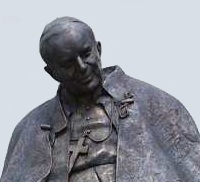 On 17 May 1989, along with the Rakowski Act there had been two other measures: a Statute on Freedom of Conscience (which redefined the state's relationship to all religions, conferring equal status on the Roman Catholic and the minority churches) and a law on Social Insurance for Clergy. 9. Citizens’ complaint to the Commission of the European Communities, 4 October 2007. 10. 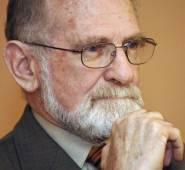 Douglas Martin, "Mieczyslaw Rakowski, former Polish Communist Premier, Dies at 81". New York Times, 11 November 2008. On August 1, 1992, a majority of 241 approved the Little Constitution in the Sejm. The issues resolved by the Little Constitution had been debated hotly and inconclusively many times before. Especially significant was the concept of the government's "special powers," which Walesa had advocated to avoid the legislative morass of Poland's multiparty parliament in building the legal framework for economic reform. Special powers meant that the government (cabinet) could now issue decrees with the force of law, provided the cabinet had the support of an absolute majority of the Sejm. The Sejm still decided, however, which policy areas were subject to such circumvention of the legislative process. According to the Little Constitution, areas protected from the force of decree were elections at all levels, constitutional amendments, the state budget, and civil and political liberties. In early 1993, Prime Minister Hanna Suchocka requested expansion of the government's decree power to specifically include management of the economy, local government reform, public services, and adaptation of Polish laws to the standards of the European Community (EC) -- areas considered vital to accelerate urgently pending economic decisions. According to her proposal, numerous safeguards would prevent the Council of Ministers from inappropriate action under the new law. 20. “Sprawozdanie Komisji Nadzwyczajnej z 14 III 1995” (“Report of the Select Committee, 14 March 1995”). Indeed, I welcome the advanced legislative initiatives aiming at granting to other churches the legal status similar to that outlined in the concordat. In this way the concordat indirectly works also for the benefit of other churches and faith associations. 29. Ray Taras, “Poland's Transition to a Democratic Republic: The Taming of the Sacred?” in William Safran, ed., The Secular and the Sacred: Nation, Religion, and Politics, (Routledge 2003), Google reprint, p. 152. Article 2: From the date of accession, the provisions of the original Treaties and the acts adopted by the institutions and the European Central Bank before accession shall be binding on the new Member States and shall apply in those States under the conditions laid down in those Treaties and in this Act. Nothing in the Treaty on European Union, or in the Treaties establishing the European Communities, or in the Treaties or Acts modifying or supplementing those Treaties, shall affect the application in the territory of Malta of national legislation relating to abortion. 40. Required by article 191.1 of the Constitution.